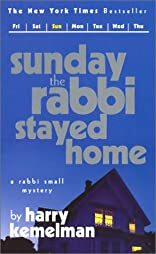 sunday the rabbi stayed home was written by Harry Kemelman. sunday the rabbi stayed home was published by G.P. Putnam's Sons Books for Young Readers.